Davis Trading are one of New Zealand's largest importer and distributor of food ingredients. Supplying an extensive range of products to clients across the food industry. Davis approached Koda web design to assist in the redevelopment of their B2B website to enhance the user experience, providing an inviting, easy to use interface that allowed order placement to be easy for their clients. Coupled with the new design was the requirement to fully integrate the website with their accounting back end system. 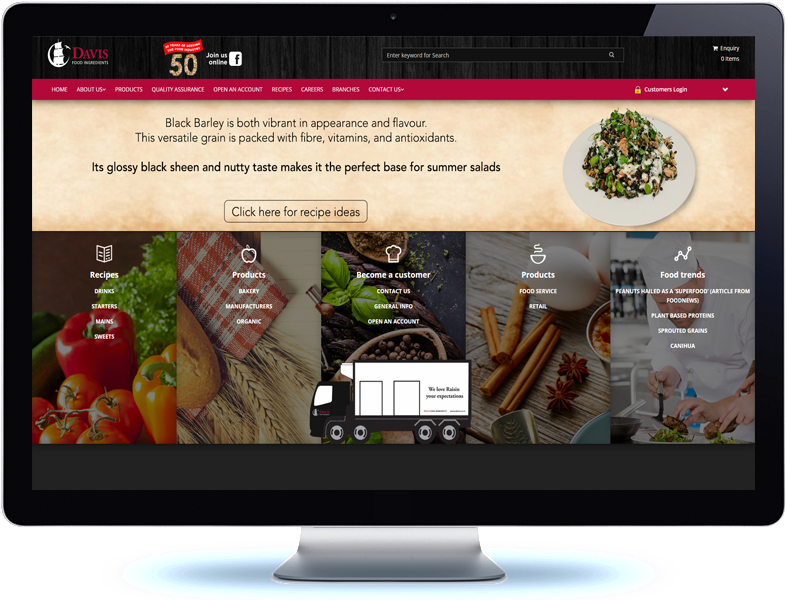 Koda selected Drupal as the platform on which to build the new site, The custom design was created by the Koda graphic design team and applied to the Drupal 7 framework. 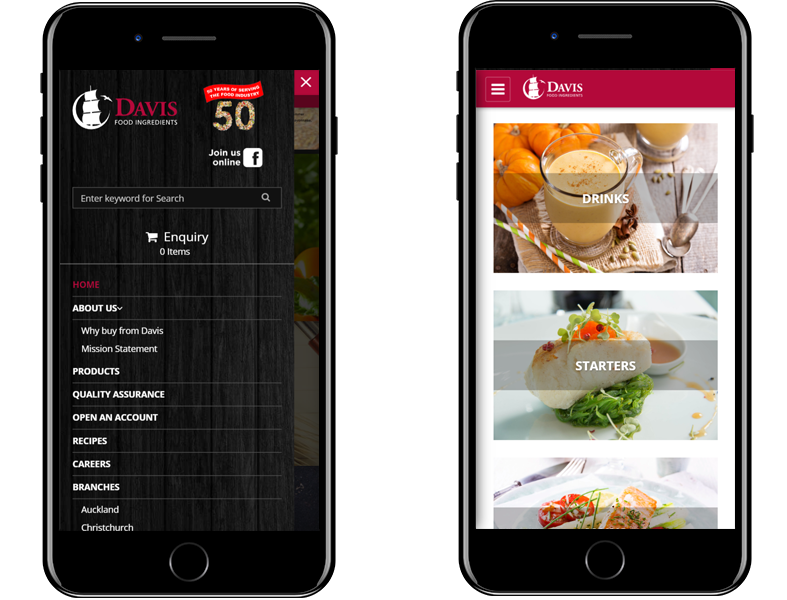 The complex integration with the Davis back end system was achieved via the development of custom modules within the Drupal framework. 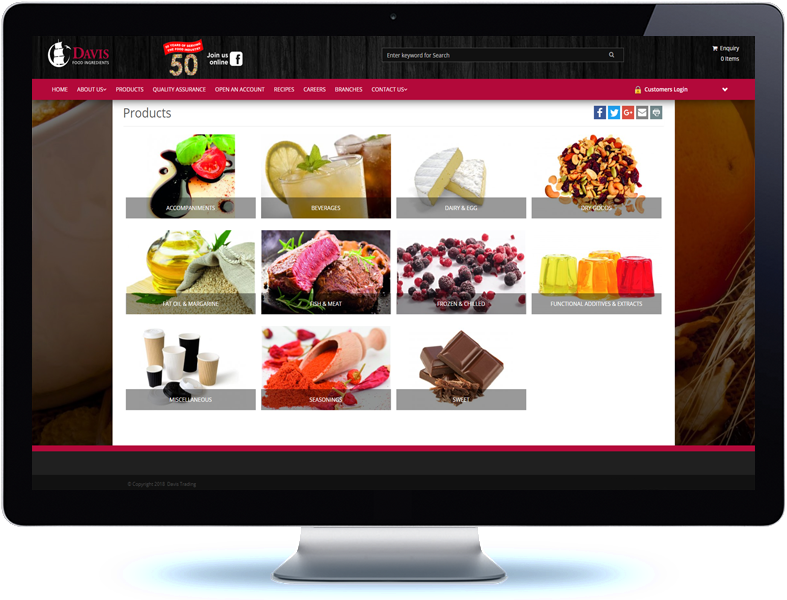 The result is a business to business website that delivers a fantastic user experience.